The Institute of Economics is well known for its study courses and applied research in different fields of economics. It was created in 1984 and is dedicated to teaching and research in economics. In 1974 the graduate course in economics started with the Masters Programme and in 1977 began the Doctorate Programme in economics. Presently there are Masters Programmes in Economic Theory and in Economic Development. Major fields introduced in the Doctorate Programme include: Economic History, Economic Theory and Economic Policy, with other 3 minor fields: Macroeconomic Policy, Industrial and Agricultural Policy, and Social Policy. Besides these programmes, the Institute maintains a Specialization Course in Labour Economics and Trade Unionism and Master and PhD courses in Social and Labour Economics. The Economics Institute also maintains extension courses in Economics, Management and Labour and Trade Unionism to the most different public and private Brazilian institutions. Furthermore, there are always applied research projects being developed in most fields by the various Research Centres that compose the Institute itself. Indeed, up until now, more than a hundred research projects have been developed with partnerships with other Institutions, as well as self-resourced individual and team research projects. The Institute of Economics is formed by a group of 88 scholars of whom 75 are totally dedicated to the University activities, in addition there are 65 employees and researchers linked to specific Centres. UNICAMP has been a partner of the Global Labour University through the Institute of Economics since 2003. CESIT, being a centre for labour economics and trade unionism has been playing a key role in this partnership. Besides the participation in seminars and workshops discussing the pilot project implemented in the University of Kassel and the Berlin School of Economics, some professors of UNICAMP have already participated as guest teachers in the Labour Policies & Globalisation programme in Germany. Also, UNICAMP has hosted professors involved in the GLU project for seminars and lectures, strengthening our cooperation bonds as well as exchange relations. In 2006 UNICAMP hosted a seminar to discuss the implementation course at the University. The first intake of the Global Labour University Masters Course in Brazil was in 2008. 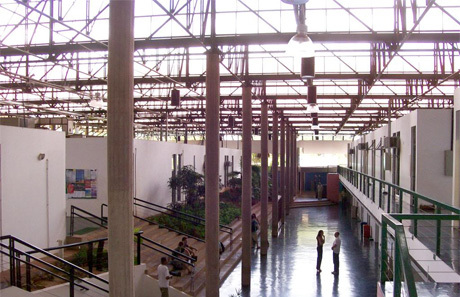 In April, 2008 UNICAMP hosted the Global Labour University Conference What Ladder? What Tree? Global Development: Challenges for union strategies. In December 2009 UNICAMP hosted the GLU Alumni Workshop Decent Work. In 2010, together with GLU partners, UNICAMP became an ICDD partner and organized the first ICDD thematic conference Labour Migration and Decent Work: Challenges and Opportunities.